Did you know that roughly a quarter of all North American residences have septic tanks? 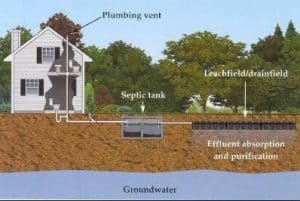 Here in the Triangle and central area of North Carolina, the percentage of septic tanks on properties rises dramatically once you leave larger communities. If you, or a buyer or seller you represent, is considering a home purchase in a rural area, assessment of the septic system is advised. For property owners, septic inspections can be beneficial as well. A Septic Inspection can help you understand the condition of the septic system including the pipes, tank, drain field and associated soil. Detailed Home Inspections is well equipped to provide homeowners, real estate agents, buyers and sellers with the knowledge they’ll need to understand the status of their septic system and the possibility of cash outlays for pumping or repairs in the near future. For properties in Raleigh, Cary, Holly Springs, Apex, Morrisville, Durham, Chapel Hill, Garner, Clayton, Knightdale, Wendell, Zebulon, Wake Forest, Rolesville, Youngsville, Creedmoor, Angier, Lillington, Coats, Erwin, Dunn, Benson, Four Oaks, Cleveland Township, Smithfield, Selma, Bunn, Franklinton, Louisburg, Sanford and Pittsboro and throughout central North Carolina, count on Detailed Home Inspections for reliable septic system inspections. You can Schedule yours Online Today, right here at our website. 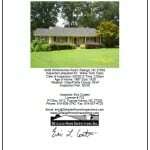 Or, for more information, call (919) 706-0098 or email us at inspect@detailedhomeinspections.com. Detailed Home Inspections wants to make scheduling your home inspection as simple as possible. Whether you’re a real estate agent, prospective buyer or seller; or a homeowner with inspection needs involving framing/pre-drywall, radon, wells, termites or septic tanks, Detailed Home Inspections is your proven, reliable choice. Simply click here and then schedule your home inspection appointment. It’s that easy! 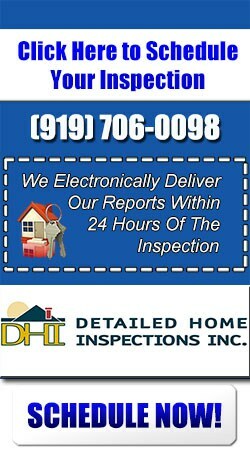 We take pride in creating very detailed home inspection reports that arrive quickly and are easy to follow. We often hear from clients that the documents we provide them the information and insights they need, to make decisions about the property in question. For a closer look at our work, we invite you to check out this Sample Report.